Friends, showcase your invitation or greeting card or even a simple thank you card design using this mockup PSD template. There are 3 different background settings to choose from in this template. Use the one that fits you or add your own background color or image. To add your design, just double-click the smart-object layer and replace your own design and save. 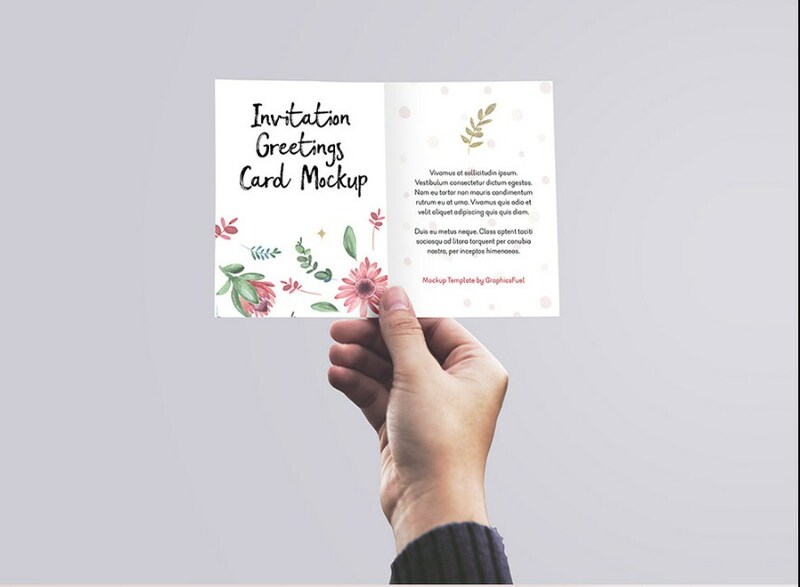 Ideal to showcase your card designs or new fonts.